Pratilipi, a Bangalore-based self-publishing e-platform, has raised about Rs 6.3 crore ($925,000) in seed funding from Nexus Venture Partners and other investors, a person privy to the development told VCCircle. The round also saw participation from Contrarian Opportunities Fund I and Times Internet Ltd. Equity Crest founders Deepak Gupta and Amit Wadhwa, and Amit Banka, director at Voler Car Private Limited, put in money as well. Wadhwa is also a former executive at UTV and Unilazer Ventures. When contacted, Ranjeet Pratap Singh, co-founder, Pratilipi, declined to comment. A separate email query sent to Nexus Venture Partners did not immediately elicit any response. Pratilipi, run by Nasadiya Technologies Pvt. Ltd, allows writers to e-publish their poems, stories and other literary works, and readers can read them on the platform for free. The startup offers content in eight Indian languages – Hindi, Tamil, Malayalam, Oriya, Bengali, Gujarati, Marathi and Kannada. The self-publishing platform was founded in March 2015 by Singh, Sankaranarayanan Devarajan, Rahul Ranjan, Prashant Gupta and Sahradayi Modi. Both Singh and Devarajan have done their MBA from Delhi University. Singh was earlier working with Vodafone while Devarajan was with Beroe Inc working as a procurement consultant. 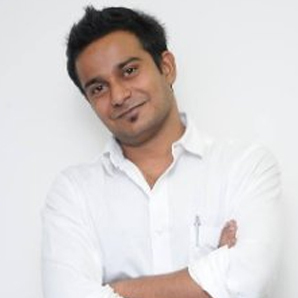 Ranjan holds a computer science degree from KIIT University, Bhubaneswar. He was previously working as a system engineer at TCS. Gupta, who has done his masters in computer science from Birla Institute of Technology and Science, Pilani, was a software development engineer at Amazon. Modi has done her MBA from SP University. She has previously worked at DHL and Vodafone India. Pratilipi acts like a discovery and reading platform for readers. The startup claims to be working with more than 3700 writers and has about 1.5 million readers on the platform. Pratilipi, which was incubated by Times Internet, has also been showcased at the first-ever Indian language digital festival, Bhasha, held earlier this year. A recent survey by market research agency Nielsen revealed that India’s book publishing market is currently the sixth largest in the world at Rs 26,100 crore, and is likely to touch Rs 73,900 crore by 2020. Earlier this month, Ahmedabad-based Matrubharti Technologies Pvt. Ltd, which runs e-book publishing platform Matrubharti, has raised Rs 20 lakh (around $30,000) in seed funding from Viridian Capital. Nexus invests in Indian startups and US-based startups which have an Indian footprint. It has over $1 billion under management with an active portfolio of over 60 companies across technology, internet, consumer and business services sectors. It was ranked as the fifth most-prolific VC firm in India last year with 25 deals under its belt. The early-stage growth investor has backed companies such as OLX, ShopClues, Snapdeal, Delhivery and RoadRunnr. Contrarian Opportunities Fund I was earlier known as Contrarian Social Opportunities Fund I. It is an $11 million angel fund managed by Contrarian Capital India Partners Pvt. Ltd, also known as Contrarian Drishti Partners. Contrarian Drishti last year hit the first close of its maiden angel fund, Contrarian Vriddhi Fund I, at Rs 15 crore ($2.4 million). Contrarian Vriddhi Fund, along with Mumbai Angels and others, took part in a $1 million funding round of organic products e-commerce marketplace JoybyNature in July last year. It also previously invested in Mumbai-based taxi aggregator BookMyCab and an unnamed medical devices maker for developing markets. *This article has been updated to add investment details and names of investors.